Your personal savings and investments add to your retirement stability. There's no time like the present to start planning for your future, particularly when your retirement years are a part of that future. Time is one of your most important allies in creating wealth. The sooner you start saving and investing, the more money you'll have when you reach your golden years. What you invest in plays a significant role in determining how fast your money grows, and you might need shift how your assets are allocated as you age. Asset allocation is a financial strategy that attempts to maximize your return on investment while taking into consideration such factors as your age, investment objectives and risk tolerance. The idea is to allocate a percentage of your investment assets to a number of different investment categories to increase return while managing risk. Asset allocation is an inexact science, and different financial advisers and investment companies recommend allocating different percentages of your asset into different types of investments at different ages. Asset rebalancing is an essential component of the asset allocation process. You don't invest in a static world, so the value of your investments changes constantly. One category of your investments might increase significantly, while another might remain stable and yet another category decreases in value. Rebalancing brings your investment portfolio back into your original alignment. For example, you might allocate your assets to include 70 percent in stocks, 25 percent in bonds and 5 percent in cash equivalents. If the stock market experiences a down year but bond prices surge, your portfolio's allocation might shift to 60 percent in stocks, 35 percent in bonds and 5 percent cash equivalents. You would sell some of your bonds and invest the proceeds into additional stocks to rebalance your account back to its original 70/25/5 allocation. Equity investments such as stocks have historically outperformed debt investments such as bonds over the long haul, at least since World War II. "Over the long haul" is the operative phrase. You need to be able to hold your stocks for long periods, perhaps 15 years or more, to compensate for down swings in the market. As you near retirement you might not have that much time available. Investment-grade bonds typically offer a lower total return than stocks, but are usually less volatile, so a number of asset allocation models advocate younger, more aggressive investors allocate a higher percentage of their investments to equities, then shift toward more conservative investments such as bonds as they near retirement. The American Association of Individual Investors suggests a 50/50 split between stocks and bonds for investors within 10 years of retirement. This model offers a low risk factor for year-to-year portfolio volatility and projects a 6 percent average annual return. 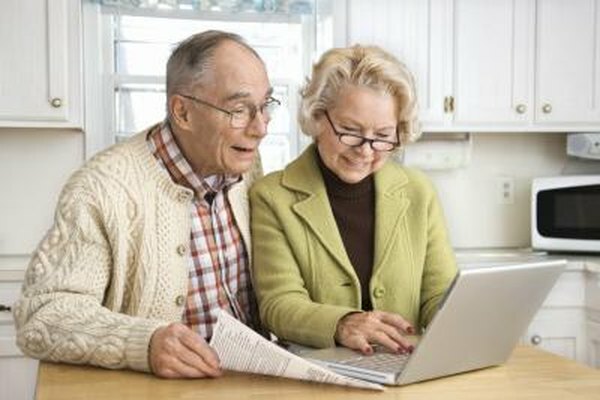 The Schwab website advocates starting retirement with an allocation of 60 percent stocks, 35 percent bonds and 5 percent cash equivalents, then decreasing your stocks to 20 percent while increasing your bond holdings to 50 percent and your cash equivalents to 30 percent by the time you reach age 80. A traditional rule has been to subtract your age from either 100 or 120 to determine the percentage of stocks in your portfolio, so if you retire at 67, you should allocate between 33 and 53 percent of your assets to stocks.